The days that you could rank your website on top of Google’s search results without any effort are numbered. That is, if it depends on the American enterprise Wordstream. As more and more websites, and hence more and more pieces of text, find their way online, you have to do just a bit more effort than before to rise above all the others and to jump out. Especially since more and more people know “something” about search engine optimization, but with a little extra effort, you can still simply reach the top of Google. To assist you with that, the company has drafted a twelve-page document called “search engine optimization, the best practices”. 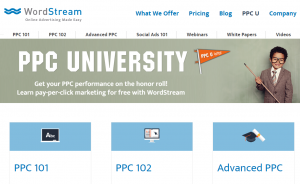 In the document, Wordstream discusses eight ways to enlarge your online reach. It gives useful tips such that you have to figure out what the most common language usage of your target is, and that you need connect with it. Because if you speak another language other than they do, then they will never find you. Simply because you won’t appear in their search results when they search for “beauty salon’ and you’re touting yourself a “beautician”. In addition, the enterprise also tips that you shouldn’t stare blindly at your competitor, because you can try to use the same words, but it has much more sense to differentiate yourself and focus on visitors that ae already coming to your website. The whitepaper of Wordstream contains much more useful tips like that. However, sometimes you’ll have to search for them between the lines. Some of the tips will be about how you can use the tool the company developed to optimize your search results. The tool of Wordstream provides daily advice on which keywords may be interesting, based on the visitors of your website. However, you can indeed use some of those tips, without immediately making use of the tool. That’s how Wordstream advises you to make up a comprehensive list or overview of the different words that are relevant for your website, categorize them en regularly update it. It’s quite possible that most women were looking for a “beauty salon” last year, but the word “spa” is much more popular now. 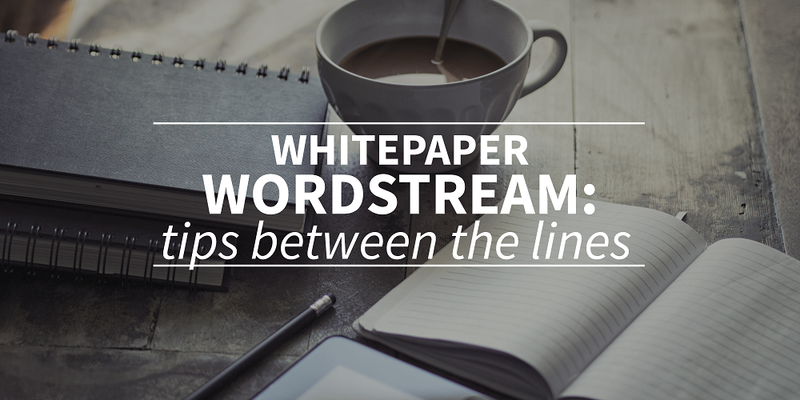 The whitepaper of Wordstream can be downloaded for free through. Do you want to do the SEO part yourself? Then webtexttool is something to try! Webtexttool is an online tool which gives SEO suggestions which you can apply while writing! You can try the tool yourself, a trial account is free! Click here to create an account. In our other blogpost we wrote a review on the SEO whitepaper from marketing agencies Eyeflow and Anvil.